The sticking point is over the number and purpose of immigration detention beds. Democrats are seeking a cap to force U.S. Immigration and Customs Enforcement, or ICE, to detain criminals rather than undocumented immigrants with no criminal history. Republicans are resisting a limit on grounds that criminals shouldn't count toward it and ICE should have discretion. Without a funding deal, nine federal departments and related agencies would shut down again, just weeks after a record 35-day closing. Negotiators also continue to haggle about the amount of funding for a wall and placement of fencing on the southern U.S. border. Amid the talks, Trump heads to El Paso, Texas, on Monday for a rally "to show Democrats how much Americans demand The WALL,'' according to a Trump campaign fundraising email on Sunday. "I'll say 50/50 we'll get a deal," said Shelby of Alabama, the Senate Appropriations Chairman on "Fox News Sunday." "I hope and pray we do." Lawmakers could resort to a resolution with funding through Sept. 30 if they can't get a deal, but acting White House Chief of Staff Mick Mulvaney said on "Fox News Sunday" that Trump "cannot sign everything they put in front of him. There'll be some things that simply we couldn't agree to." Mulvaney said a shutdown isn't the most likely option but that he "absolutely cannot" rule it out. Trump has also threatened declaring a national emergency to get funding for a border wall. 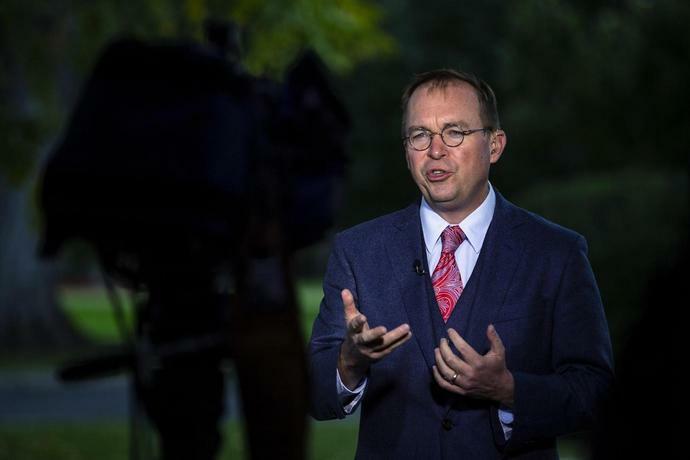 "He's going to do whatever he legally can to secure the border," Mulvaney said on NBC's "Meet the Press," one of two appearances on Sunday talk shows. A senior Republican aide said Shelby won't accept an interior cap, and Democrats told Republicans they won't proceed without one. Democrats said they want to use the cap -- which matches an informal one used during the Obama administration -- to force ICE to detain criminals rather than undocumented immigrants with no criminal history, including people who've overstayed their visas. 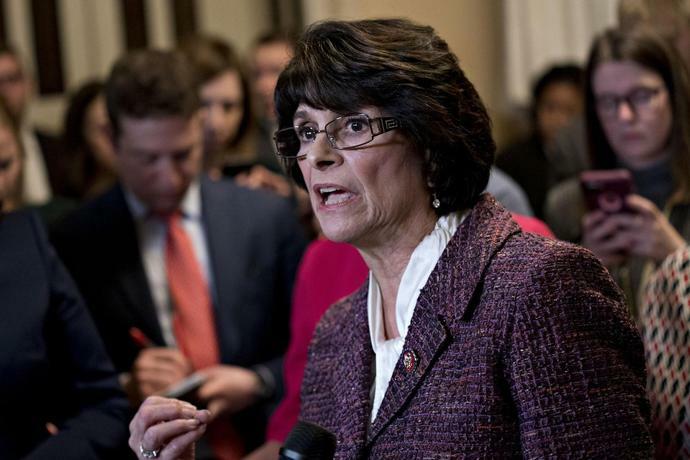 "For far too long, the Trump administration has been tearing communities apart with its cruel immigration policies," said Democratic Representative Lucille Roybal-Allard of California, a member of the conference committee. "A cap on ICE detention beds will force the Trump administration to prioritize deportation for criminals and people who pose real security threats, not law-abiding immigrants who are contributing to our country." "That would incentivize illegal immigration and undercut anything you did on the wall," Republican Senator Lindsey Graham of South Carolina said on Fox News's "Sunday Morning Futures." Trump entered the fray on Sunday saying on Twitter he doesn't think Democrats on the committee are being allowed by their party leaders to make a deal with border wall money and "now, out of the blue, want a cap on convicted violent felons to be held in detention!" "I actually believe they want a Shutdown," Trump said in a separate tweet, suggesting it was a bad week for Democrats with the controversy in Virginia and good economic news for the U.S. economy, and they want to change the subject. "Gallup Poll: 'Open Borders will potentially attract 42 million Latin Americans,'" Trump tweeted on Sunday. "This would be a disaster for the U.S. We need the Wall now!"